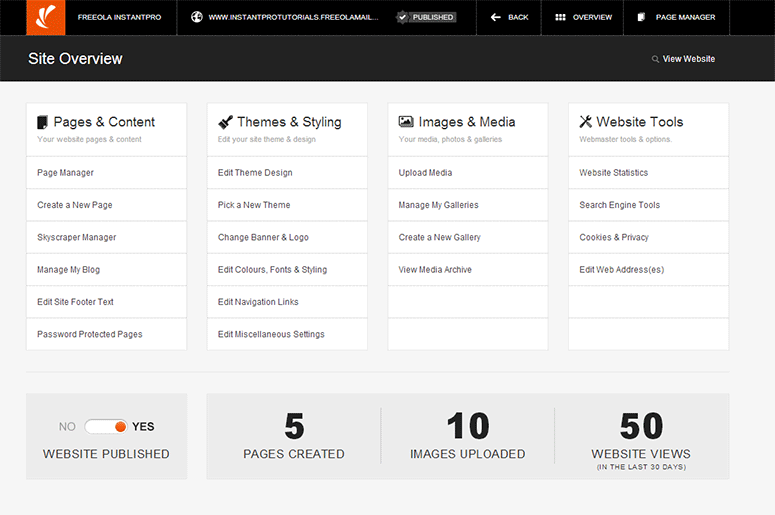 Important: When you first open the InstantPro Website Builder you will arrive at the Site Overview screen and you will need to click on Edit Theme Design under the Themes & Stylingheading, as shown below. The Footer is the part of your web site which, as the name suggests, is displayed at the bottom, or Foot of the page. There are many uses for a footer. If you look at Freeola.com and scroll to the bottom of the page you will notice a large dark grey area which contains customer comments, site links and company information. This area is the Site Footer, which as you can see is used for much more than just contact details. You could use the Footer to add contact details, or extra site navigation, the choice is really all yours. To edit, or create your site footer click the Edit Footer Text button shown in the image below. 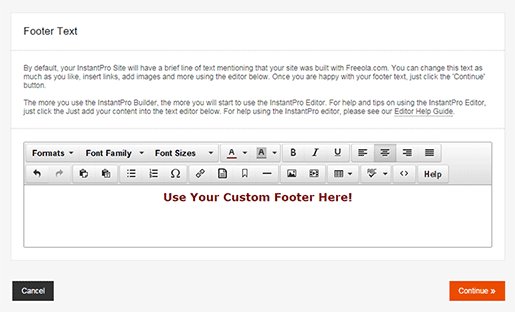 Once you have clicked the Edit Footer Text, you will see that the site footer is designed using the InstantPro Text Editor. For help using the Text Editor, please consult our Text Editor Tutorials. 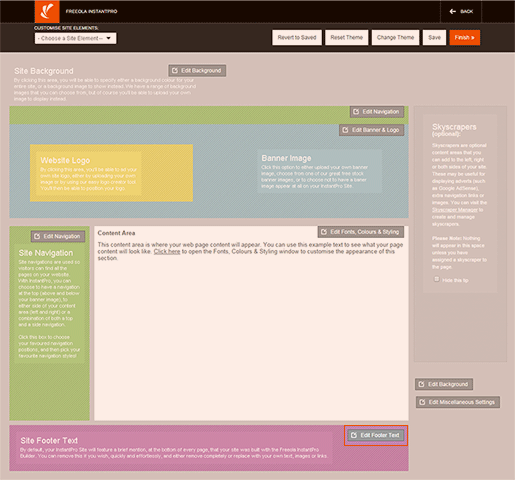 In the image above you will see that a footer has been added which just includes some simple text. You can also use the Footer for a number of other things, such as displaying a Custom Footer Image using the Text Editors Image Feature. 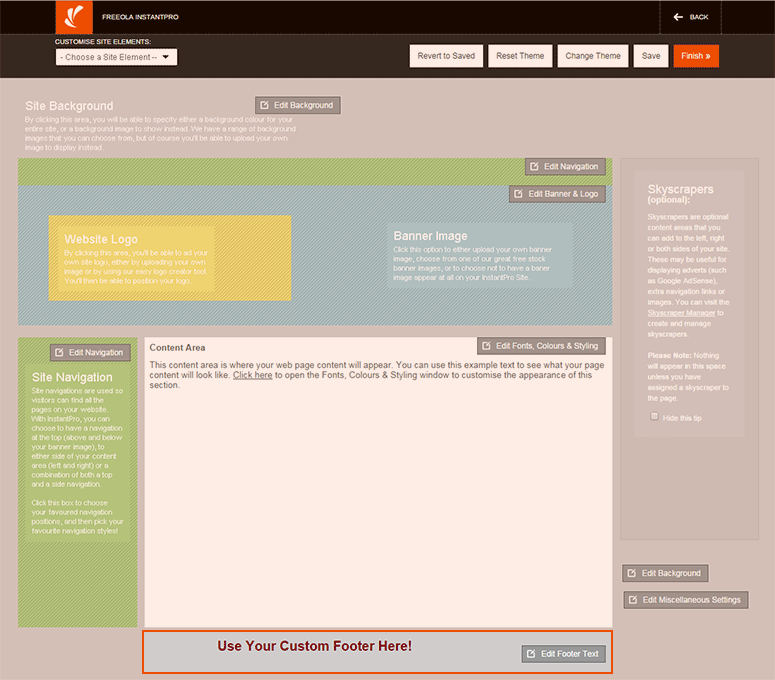 To Save your Site Footer and return to the web site design editor click the Continue button. 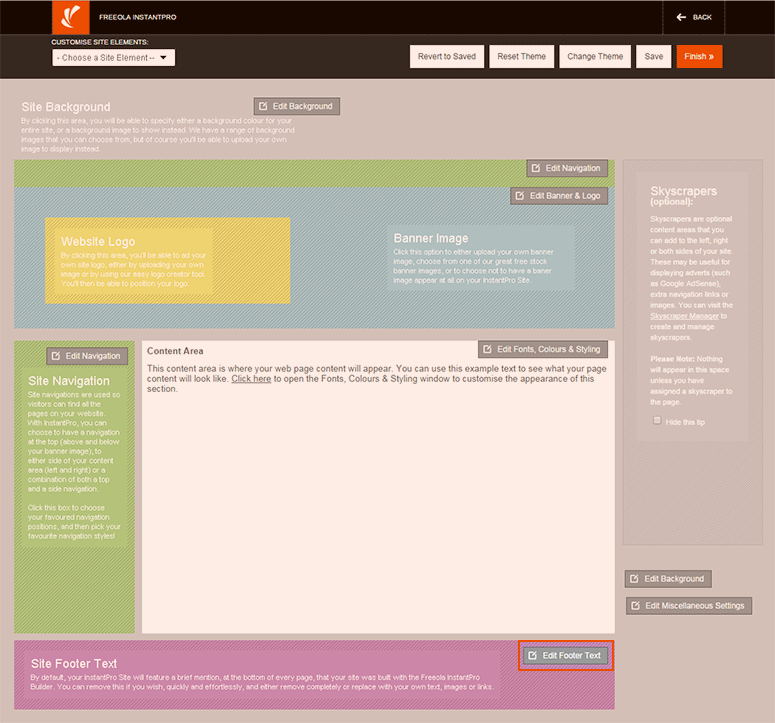 You will then be able to see how your site footer fits with your other page styling. As with the other elements, you can edit this section at any time by clicking the relevant Edit Button within the web site design editor.